Researchers from Rutgers University has just identified a very gross, very tough new species of cockroach never been seen before in the United States. And like many tourists before it, this invasive creature came to this country to see New York City. Meet the Japanese cockroach, or the Periplaneta japonica. Measuring up to an inch-and-a-half in length, these nasty little critters are famous for being able to survive both balmy summer days and subfreezing winter temperatures. The cockroach is already a well known invasive species in Asia, where it's spread from its native Japan to China, Korea and even Russia. Entomologists expect this new species to compete with existing species of cockroaches for food and resources, hopefully enough so that they won't reproduce in large numbers. This out-of-towner was first spotted by an exterminator last year, and its origins were just confirmed. Experts believe that it hitched a ride in the soil of one of the plants used to adorn the park, and it's unknown how far they've spread. 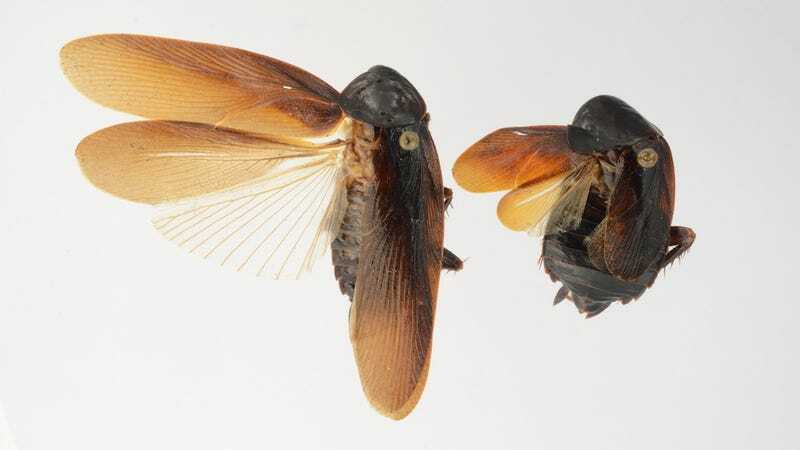 According to the Associated Press, though, it's unlikely "that the new species will mate with the locals to create a hybrid super-roach" since the male and female genitalia of specific species "fit together like lock and key." So we'll just have the original Japanese super-roach to contend with. Some things never change.